Ligbron e-Learning System connects schools all over SA to an online learning network. Live streaming of mathematics and science lessons are shared by using video conferencing and desktop sharing. Each e-Learning classroom has an e-Boxx with a SMART interactive whiteboard, LCD screen with a digital camera, sound system and microphone. The LCD screen shows the image of the teachers/learners from linked schools, enabling them to take an active part in the lesson. The SMARTboards display the presentation of the presenter and any student and teacher can write on the SMARTboard and ask questions from their own school and it will be displayed and heard at all schools. Clear, concise maths & science lessons that follow exactly the curriculum as laid out by the Dept of Education. These lessons are streamed live at pre-arranged times on three days of every week. Ligbron e-Learning System also includes all day-to-day lessons in Maths and Science from Grades 8-12. Questions and answers evolving from these lessons are highlighted. Teachers are given software training and receive a certificate after successful completion. Project management is a key component and includes regular contact by phone, constant monitoring of the log-in to live sessions, quarterly meetings with all e-Learning teachers to address and assist them with any problems they may encounter plus pre- and post-testing. All equipment is safe-guarded with stringent security including steel enclosures with 3-way locking systems and pepper-spray alarm systems. The Online Resource centre is available to all connected schools. To offer online services to schools for live tutoring by experienced Mathematics and Science teachers. To train Mathematics and Science teachers to become specialist teachers. To focus on rural and underperforming schools. To improve results in Grade 12 in these subjects. To share online Mathematics and Science resources to schools that are connected to the Ligbron e-Learning network.  To manage and monitor all projects that are connected to the Ligbron e-Learning network. To expand from the six provinces in which Ligbron currently operates into all nine provinces of South Africa. To bridge the rural-urban divide and attempt to provide all SA learners and teachers with the same opportunities. To help children realise their dream of following careers in science, engineering, medicine, aviation and accountancy. My marks improved drastically thanks to this programme. It profoundly influenced my education and ensured that I am where I am today. I am very thankful to Ligbron and to their sponsors for giving children this opportunity. It enriches the lives of children who would have been lost in the system. Students need good results in maths and science to get a proper education for a better future. 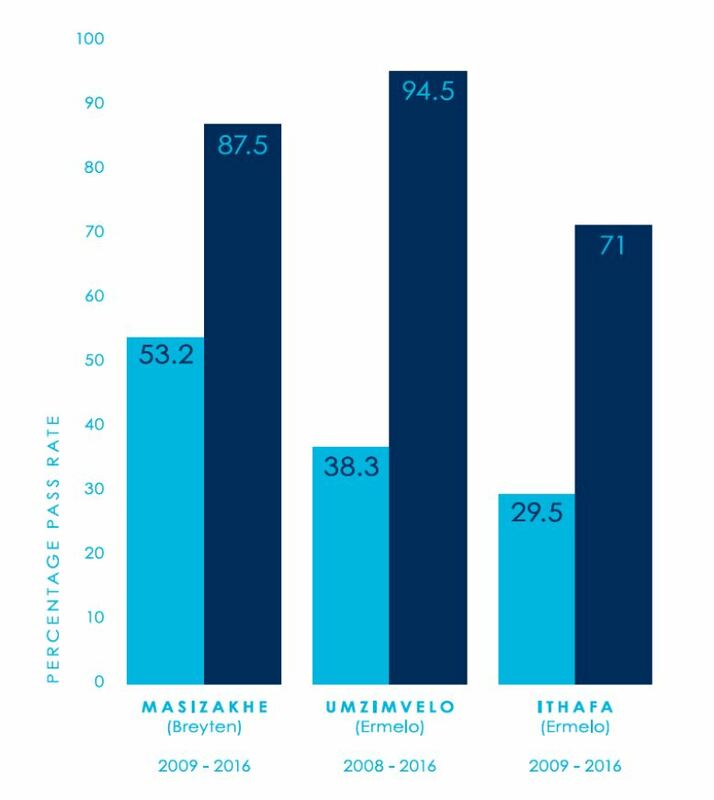 Nodida studied at Camden Combined School in Ermelo and, in Grade 10, he averaged from 50% to 60% for Maths and 40% for Science. He was determined to improve as his dream was to become a doctor but he was struggling with these subjects. The following year, 2014, Nodida benefited from the Ligbron e-Learning System which had been installed at his school in 2011 but only applied to Grades 11 & 12. His average for Maths increased to 65% and for Science to an astonishing 70%. 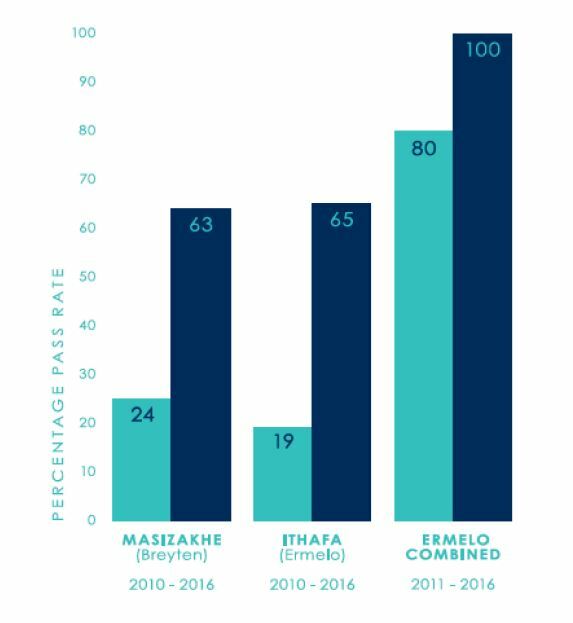 In Grade 12 this trend continued and he matriculated with 78% for Maths and 89% for Science. With the help of Natasia Marx (Project Manager of Ligbron e-Learning), and a bursary from the Department of Education, he was offered a place at a University in Russia. Last year he finished his first year studies with an average of 90%. He comes home to do his practical at the Ermelo Provincial Hospital. Ligbron e-Learning System has been the recipient of many national ond international awards for innovative distance learning techniques. World Bank Award for "Innovation In Education"
All installations are carried out by the Ligbron e-Learning technical team, asset registers are set up and signed by all principals who take responsibility for the equipment. Every e-Learning teacher gets software training and receives a certificate after successful completion. Teachers also get basic practical hands-on technical training to help them sort out problems. Quarterly meetings with all e-Learning teachers to assist and support. 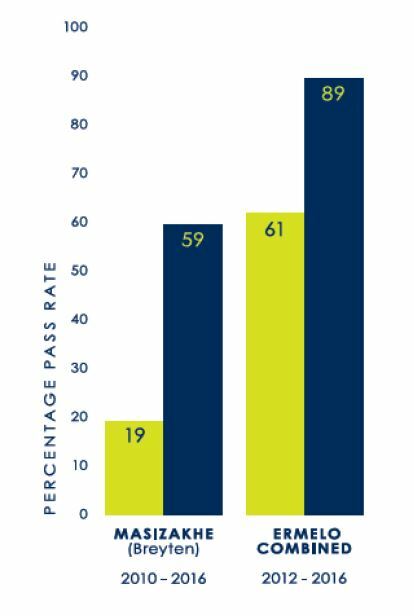 Year-to-Year results of the Grade 12s. Log-in statistics are compiled to monitor each transmission to every school. Grade 12s have to write a "Grade 11 Knowledge Test" to determine their knowledge of Grade 11 work after which the teacher can analyse which Grade 11 work to revise again as the CAPS document doesn't allow for time in the pacesetter for revision even though Grade 11 work counts for 50% of the exam papers. Admin: Meeting Minutes, Asset Registers, Reports, Calendars & Knowledge Tests. Maths & Science: Test and Exam papers, Memos, Lesson Notes, Recorded Lessons. 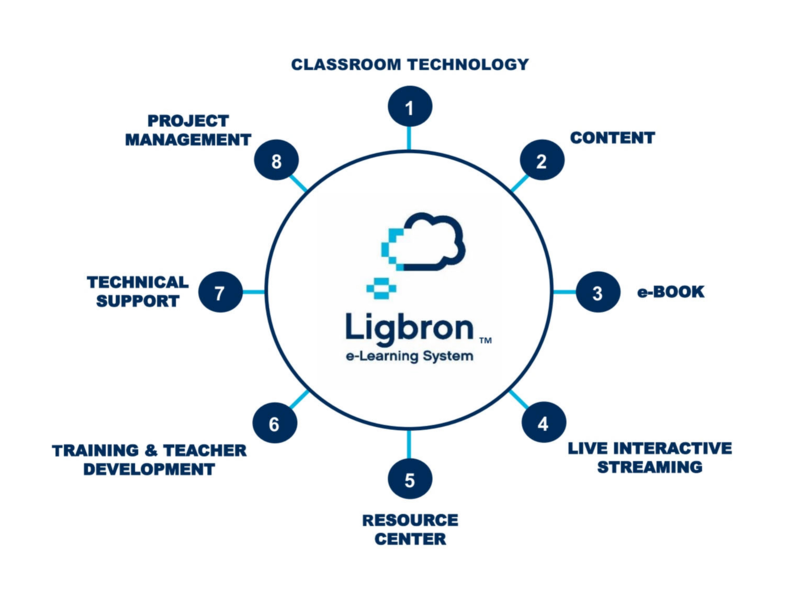 The Ligbron e-Learning technical team is responsible for all maintenance of software, hardware, internet issues and any technical problems that the schools may experience and cannot solve themselves. Routine visits take place to try and preclude this from happening. The Ligbron team would like to express its gratitude to our loyal partners without whose support no project could take place. The number of pupils who benefit directly and indirectly from Ligbron's input is growing exponentially year by year. By investing in this project our partners are promoting the development of doctors, accountants, pilots, scientists and engineers of the future. All donations to Ligbron e-Learning System are exempt from tax. Registration No. for Section 21 Status is 800004937. The PBO (Public Benefit Organisation) No is 930011869. © 2019 Ligbron e-Learning System. All rights reserved.